Declare a TCS34725 sensor with optional integration time and gain values. 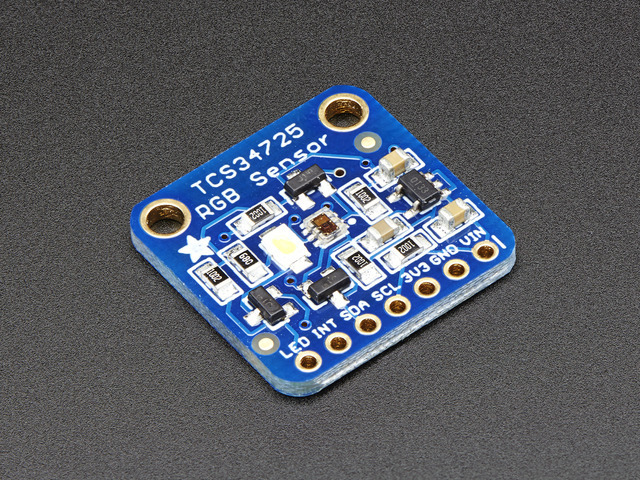 Initialize the TCS34725 Color Sensor. Call this function before anything else. Reads the raw sensor output for the Red, Green, Blue and Clear segments of the sensor. Calculates the color temperature from the Red, Green and Blue components. Calculates Lux from the Red, Green and Blue components. Sets the sensor interrupt to generate an interrupt when the detected level is within the limits (see setIntLimits() below). The Int pin is only available on the breakout version. The boolean parameter can be used to control the LED. 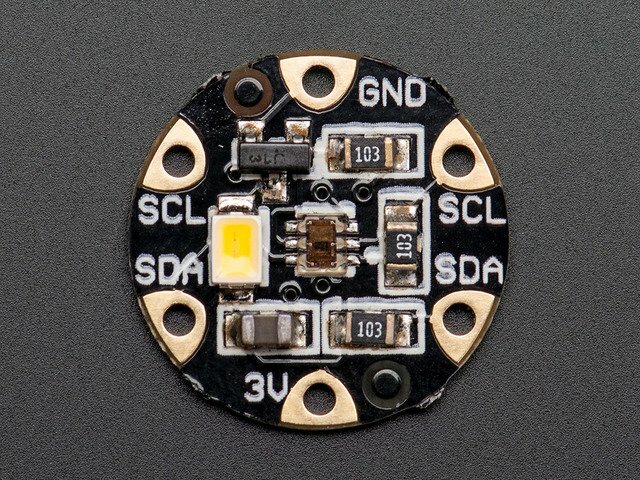 On the breakout version, you must connect the LED pin to the INT pin for LED control. 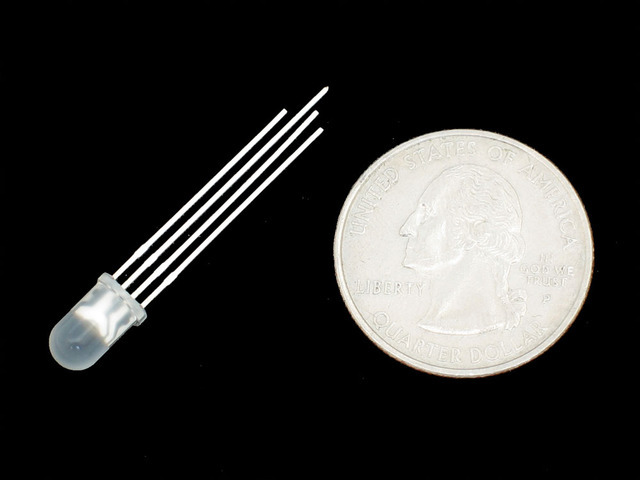 Passing "false" will enable the on-board led for reflected light measurement. Passing "true" will turn the led off for incident light measurement. Sets the high and low threshold levels for interrupts. For more detail on the operation of interrupts, please refer to the data sheet. ARDUINO CODE USE IT WITH PROCESSING! This guide was first published on May 21, 2013. It was last updated on May 21, 2013. This page (Library Reference) was last updated on Apr 19, 2019.